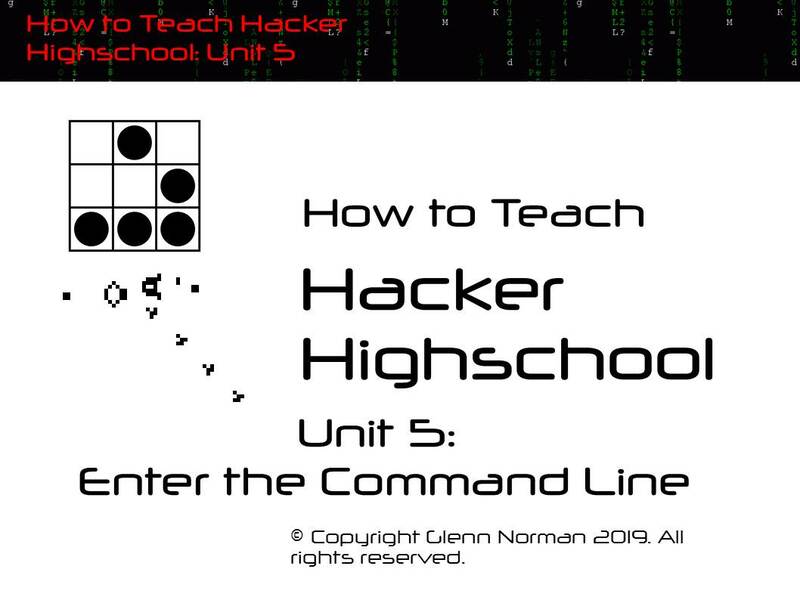 This is the fifth unit of my course for teachers, which brings together a lot of material I generated while working as Project Manager for the Hacker Highschool v2 Rewrite Project, 2012-2016. This session helps you get started with Lesson 2, Commands in Windows, Linux and Mac. The Commands lesson is pretty dry, mostly lists of commands. I juice it up with exercises in creating batch scripts, writing fake harmless viruses and getting started with Linux shell scripts. Students will love it. Here’s the video of Unit 5, with the links it mentions below. Tell me what you think in the Comments, and thanks for taking a look.